We would like to thank most sincerely Rowena Ross from PWC, Wexford for organising a wonderful talk for our 6th year students on Wednesday, 10 April with Fergal McCormack, President of Chartered Accountants Ireland, Billy Sweetman, PWC Wexford, and Robert Crosbie, Chartered Accountants Ireland. Firstly, the President, Feargal McCormack, gave a very inspirational speech about how women can become anything they want and contribute positively to society through finding a career that provides much meaning in their lives. Feargal, who is from Northern Ireland, blew us away with his knowledge of Loreto Secondary School, Wexford and quoted Teresa Ball in his speech by telling the students that by “going to set the whole world on fire with the love of God”- they could look into their mirrors every night and be happy that they made a positive contribution and did their best. 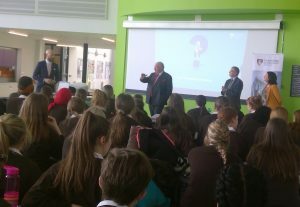 Furthermore he made reference to Loreto’s core values and explained that they run on a lot of the same principles in their organisation. Secondly, Robert gave a presentation on the training available from Chartered Accountants Ireland. It was great for the students to see that they take on people with all sorts of undergraduate degrees, not just accounting or business, so it can always be an option for them in the future, regardless of the content of their first degree. Finally, Feargal, Rowena, Robert and Billy held a Q&A session where students got to ask about the finer details of the training. It was a pleasure to host PWC and Chartered Accountants Ireland in our school and we look forward to our continued relationship together. 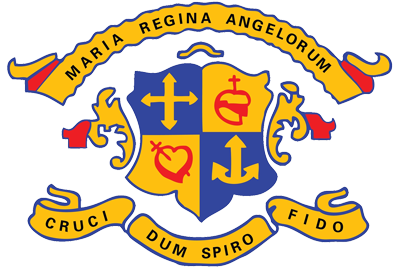 A meeting is taking place this week regarding our next musical joint-production with St. Peter’s College that is due to take place in November/December this year. We expect to announce the name of the chosen show soon after Easter. We wish a safe and enjoyable trip to our 86 Transition Year students and their teachers who headed away early this morning to Barcelona. Congratulations to our 1st year basketball squad who competed in the All-Ireland series in Cork earlier in the week. Even though their involvement in the competition came to an end, the girls performed very well and were most generous in the gratitude they displayed to their teachers for helping them achieve so much. Well done to Mr. Cummins, Mr. Laffan and Ms. Skelton. More than 200 students attended the first in our series of lunchtime concerts on Thursday, 11 April. Great credit is due to the six acts who performed a wide selection of songs to entertain us all. The next concert will take place on Thursday, 2 May. The school closes for the Easter holiday this evening and will re-open on Monday, 29 April. 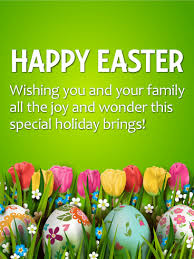 We wish all members of the school community a pleasant and relaxing Easter.